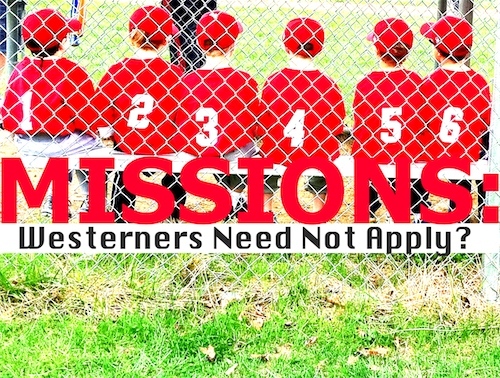 You are here: Home » Missions: Westerners Need Not Apply? Frankly, I find this perspective myopic. When it comes to the obstacles that must be overcome to qualify one as a church-planter, about the least foreboding one in the bunch is culture! How about finding men who are theologically grounded? How about men who preach with power? How about men who have the wisdom to guide an infant church to maturity? How about men who have the loving spirit necessary to make disciples? How about men of integrity who will thrive in a position of relative independence? These are the qualities that are to be most desired; they are also those in shortest supply the world round! Reblogged this on Project Egypt | Ramblings From Egypt.